A Merry Christmas to Matchbox members, friends and audiences new and old. Wishing you all a splendidly healthy and hearty and fun filled festive period, from the Matchblog. And THAT, ladies and gentlemen, is the closest we will ever get to a pantomime. Though I personally would love to channel the inner dame – can’t you tell? Nonetheless even with this being the case thoughts are turning to next year’s productions and a notice will be going out about auditions for the March play in the next few days. We also have the AGM to start the year on 7th January and we would be VERY grateful if as many people as possible could come to this meeting as there are some important matters to discuss regarding the future of the group; the more people who turn up, the more ideas and suggestions might be forthcoming regarding the issues currently being faced. We hope the promise of cheese and wine will be enough to entice. And so ‘Jumpy’, the 105th Matchbox Theatre production has come to an end. A departure in terms of tone and subject matter but undeniably a successful run that entertained, amused and provoked much thought throughout its three day run. Presented with minimal set, the piece flowed slickly through the crises of Hilary and the various characters with whom her mid-life intersects. Adultery, teen pregnancy, the waywardness of youth, feminism and belly dancing (obviously) were amongst the themes on show and there is no question that the audience enjoyed the strength of cast performance alongside the fluidity of the set transferring from bedroom to beach, coffee shop to cottage. Very much an ensemble piece, there was a great camaraderie within the company and crew, though there is no question that K’s dynamic, engaging, nuanced performance as Hilary was the glue that held the storytelling together – that, and her lightning fast skill at slipping in and out of different costumes for virtually every scene. This, along with beautifully apposite sound and unflashy but perfect lighting, ensured that this would be a soiree to remember. I have said before that Vicky Pearce brings a holistic vision to any plays that she directs and that was very much the case with ‘Jumpy’. Having worked on it from the very beginning the concept remained firm and, despite challenges, remained so even if a short cut was prompted here or a rethink there. Nonetheless, to lour some clouds upon our house, it must be said that much of its success was ‘in spite of’ rather then ‘because’. These challenges thrown up are becoming increasingly problematic and this in turn throws up questions, questions that prompt some weighty discussion…. But that is for the near future! Suffice to say that the group’s reputation for quality and varied theatre remains safe, not because of my own subjective bias, but from the numerous positive comments and observations made by the exiting crowd across all three days. And, as is customary on such occasions there are many memorable moments that made ‘Jumpy’ such a great night, some of which can be seen above. Well, it’s not an unusual thing for me to apologise about being behind with bloggage but with a gap of nearly half a year…I have been remiss. Very remiss. So, much to catch up on then as you might well imagine. Foremost is of course our upcoming December production, Jumpy, which goes up this Thursday (30th November). Indeed, I am writing these words as the technical rehearsal unfolds, the usual melee of pdychedelic light, random effects and the soundtrack of our lives! The play is a bit of a departure for the group- keeping in with the recent trend of experimental, off beat and out of the ordinary choices of play, it provides something novel for cast and audiences. Debuting at the Duke of York in 2011 and written by April de Angelis, it enjoyed a great deal of popularity and critical success and is therefore a perfect choice for the Matchbox. 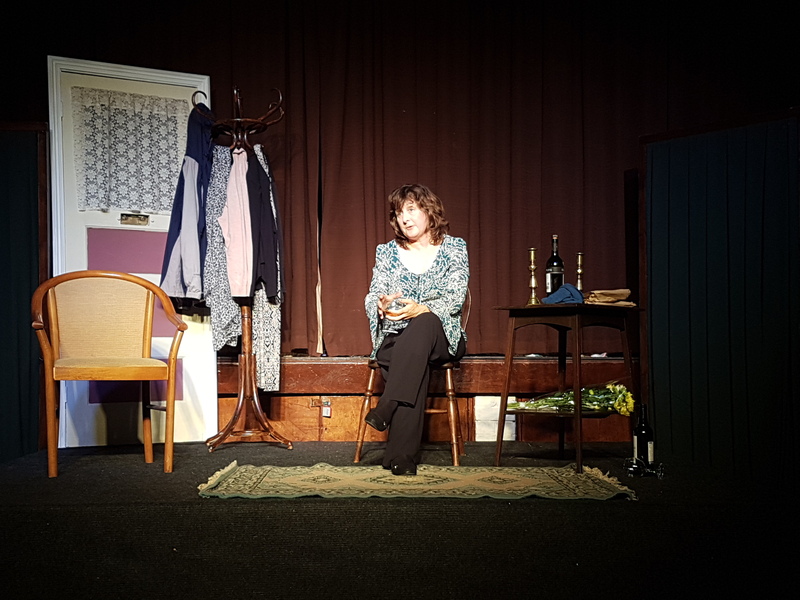 Described as a tragedy played like a farce it takes at it’s heart the mid life crisis of Hilary and her struggles with a stale marriage, the threat of job loss and, not least, her 15 year old daughter Tilly’s provocative sexuality and utter contempt for her mother. Played by Tamsin Grieg originally, Hilary’s menopausal journey is a bittersweet series of encounters and misadventures that offers many instances of hilarity but also relatability. 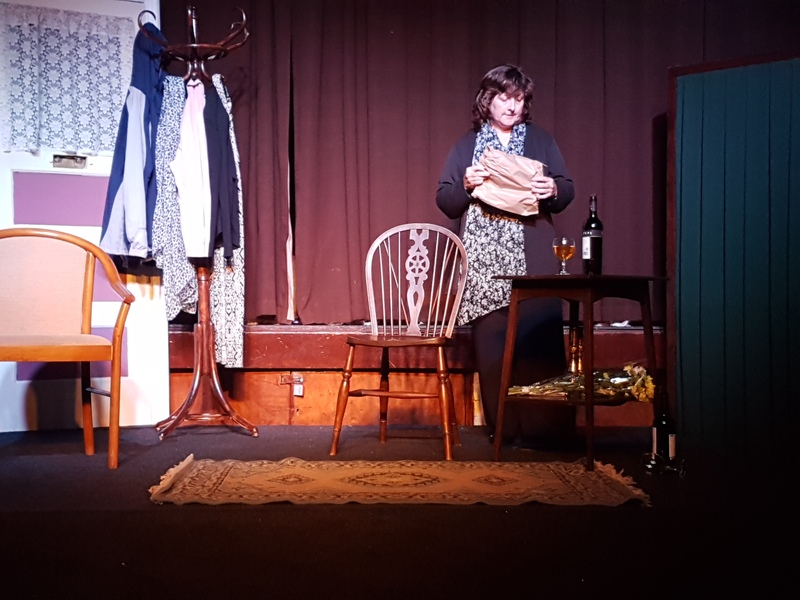 The male mid life crisis is fertile territory for theatre, less so that of the woman’s equivalent and Jumpy therefore offers exciting challenge for the group. Directed by Vicky Pearce, well known for her creative staging, with K Isom as Hilary, this promises to be an excellent night of theatre. 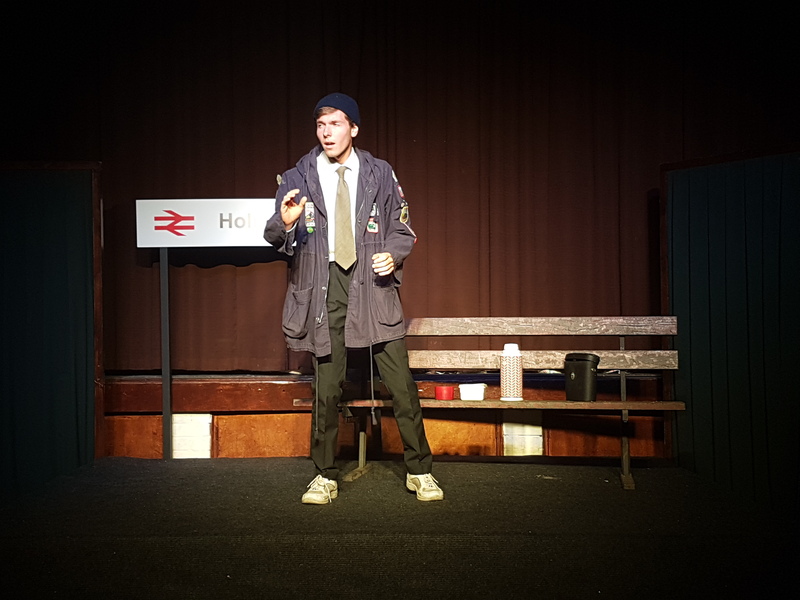 With a small but perfectly formed cast of young and old(er) it has unquestionably been rehearsed to a refined polish that brings out the very best of the humour, and the poignancy. 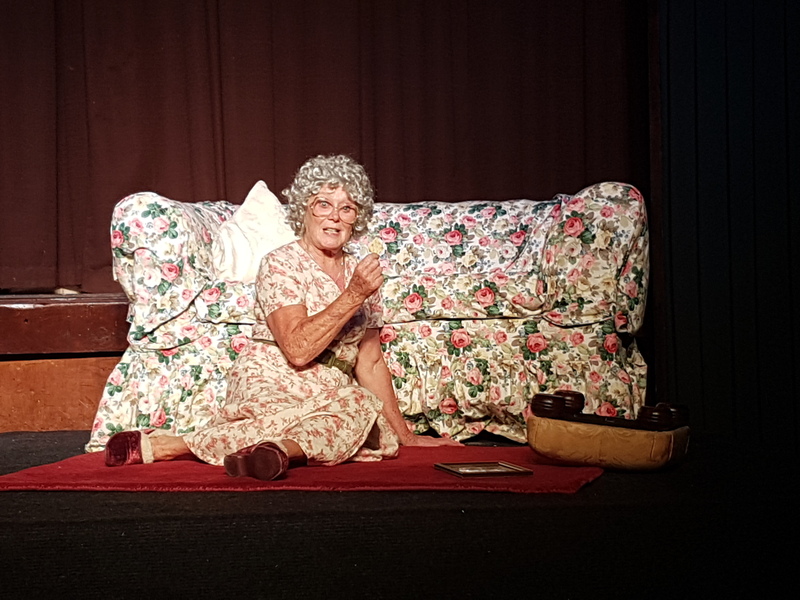 More mature in content than some recent fare it is nonetheless neither vulgar or crude and anyone over the age of 14 will be able to appreciate the various beats and moments at the heart of the play. It’s certainly a great one for the blog to return to after such a long hiatus, and we are looking forward to once again entertaining audiences with something a little different. Tickets are still available for this Thursday, Friday and Saturday so if you haven’t got hold of one yet, make sure you pick them up sooner rather than later. So, hello again, thanks for having me back, sorry for the absence, it won’t happen again. Promise. So the curtain goes up tonight on The Matchbox’s ‘Trainspotting Meets Talking Heads’ . If you haven’t got your tickets there are still some available for tonight, tomorrow and Saturday; I can wholeheartedly recommend the show as a splendid evening out. 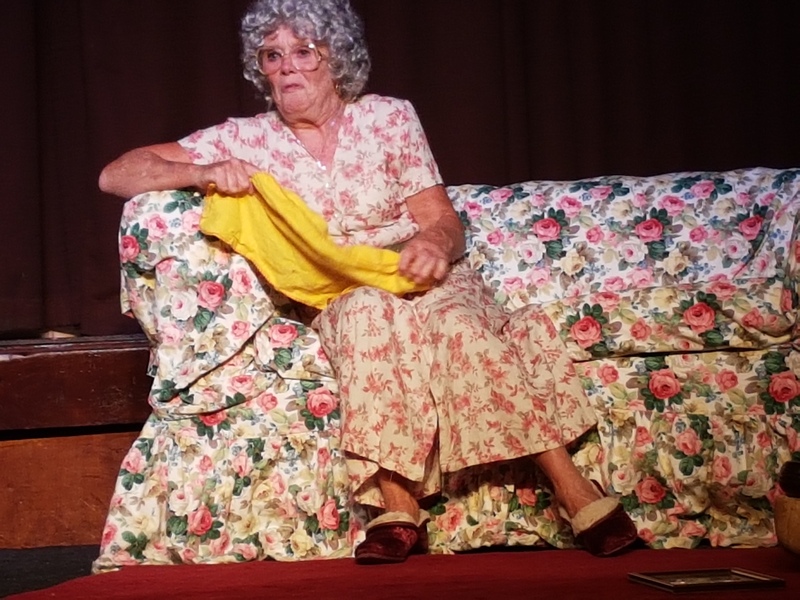 As stated previously the evening comprises three monologues each with a healthy balance of comedy and the bitter sweet poignancy born out of both Alan Bennett and Stephen Dinsdale’s perceptive observational writing. I know everyone involved with the production has wholly dedicated themselves to the three characters portrayed throughout the evening. It goes without saying holding the stage for 25-30 minutes alone is no small feat but Helen, Zack and Dot have shown themselves more than able to draw an audience in and give them a window into particular points at each of these distinct character’s lives. Therefore, may legs be broken for all involved in the run and if you are able to get along to the church hall I sincerely hope you enjoy. I’ll be back with feedback and responses in the next day or so.